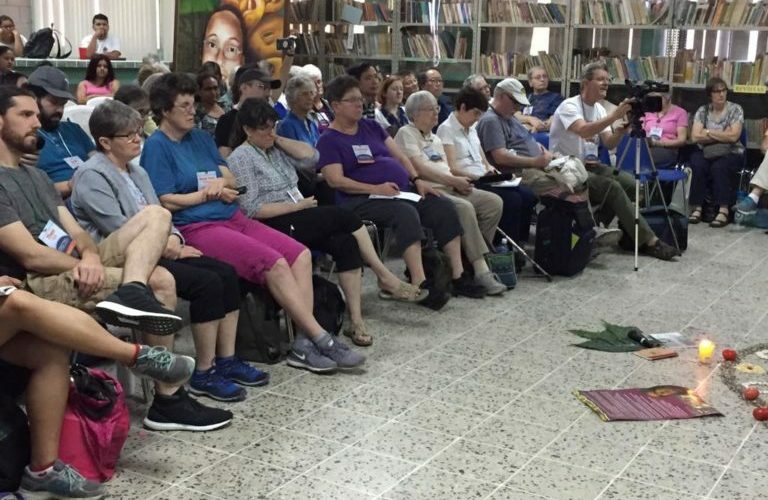 Sr. Joan Williams, OP, with representatives of the 2019 Root Causes Pilgrimage to Honduras. 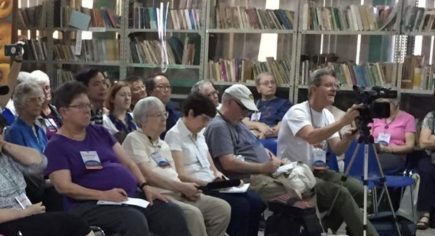 The presence of more than 75 people representing various human rights organizations, religious and religious in the United States, is a sign of the concern that many international sectors have about what happens in Honduras. This week the so-called Delegation of Ambassadors for Peace visited several regions of the country, to share with the communities that live in the midst of widespread violence, the violence caused by the extractive model and the poverty in which they live in Honduras, where 6 every 10 families are in these conditions, as confirmed by data from the Social Forum for the External Debt of Honduras, Fosdeh. In a statement published on the day of their arrival, the ecumenical delegation said that it was made up of spaces that work for the rights of migrants, and that seeks to know the factors that are forcing people to flee, including violence, environmental degradation; and the effects of the coup d’état in 2009, which accentuated the entry of drug cartels, organized crime, corruption in the security forces and almost total impunity in the face of human rights violations. Read more about the impact extractive models of development are having on the people of Honduras in this Radio Progresso report. The content of this guest post is based on the personal witness and opinions of the author and doesn’t necessarily reflect the opinions of the Congregation of the Dominican Sisters~Grand Rapids or its ministries. Nor can the Dominican Sisters~Grand Rapids vouch for the accuracy of the information.